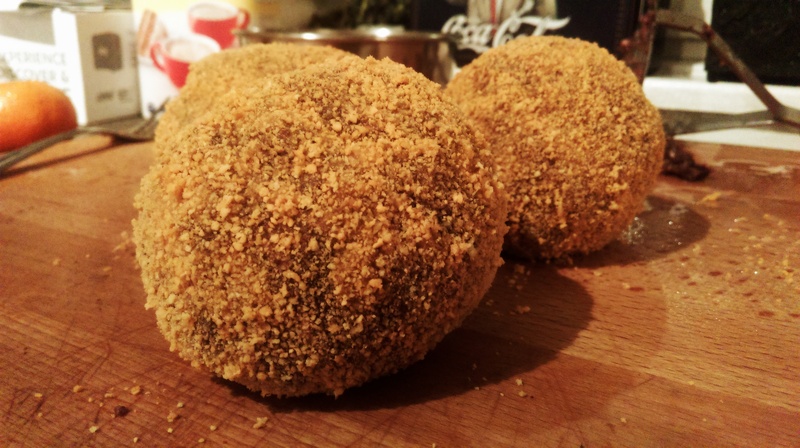 Now, whilst this may sound like one of the driest coatings in the world, that’s why we use the pork mince – it adds moisture and loosens the texture without detracting from the flavour of the black pudding. 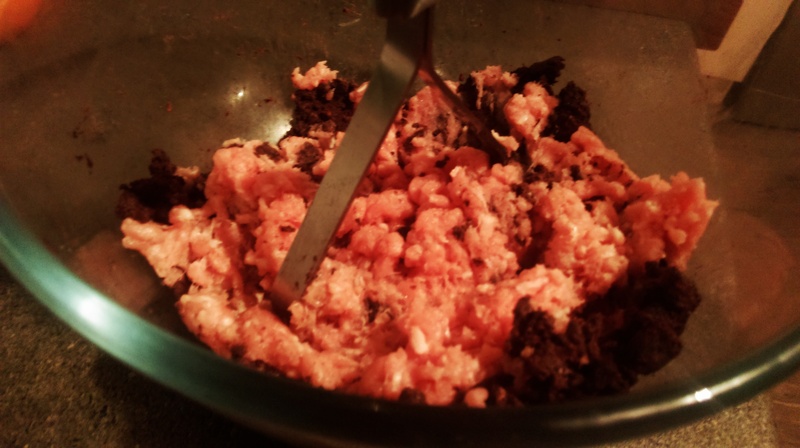 And I’m aware the ingredients list for this is substantially smaller than usual – I would recommend seasoning but quite frankly, I wouldn’t want to detract from the flavour of the black pudding. 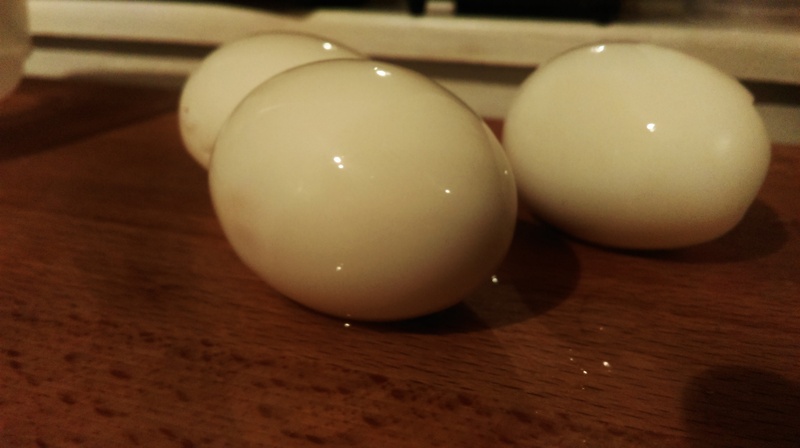 Boil as many eggs as you’d like to make for 5 or 6 minutes in salted water, then carefully peel. It helps to do this submerged in a bowl of water. 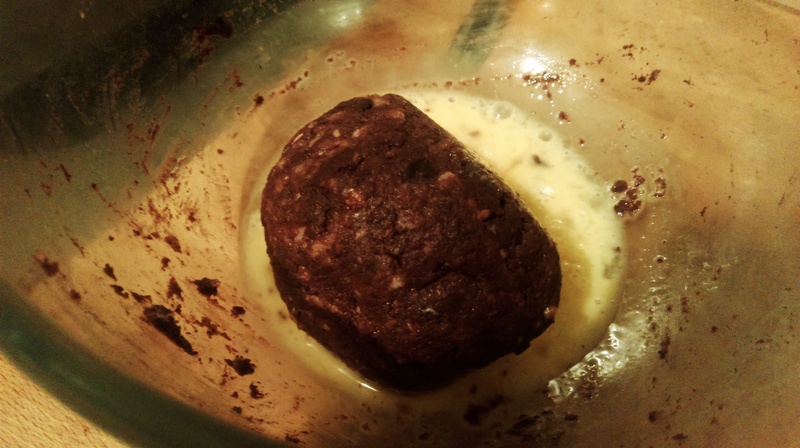 Cut the black pudding sausage into a bowl, chopped roughly. 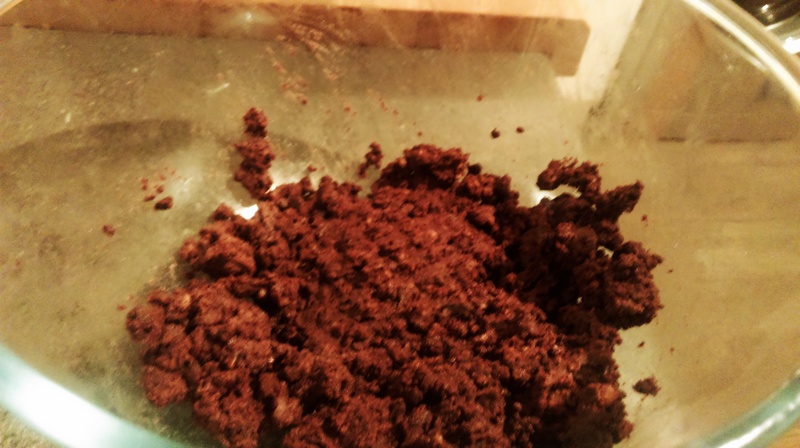 Use a potato masher to break it down until it’s like moist dirt. 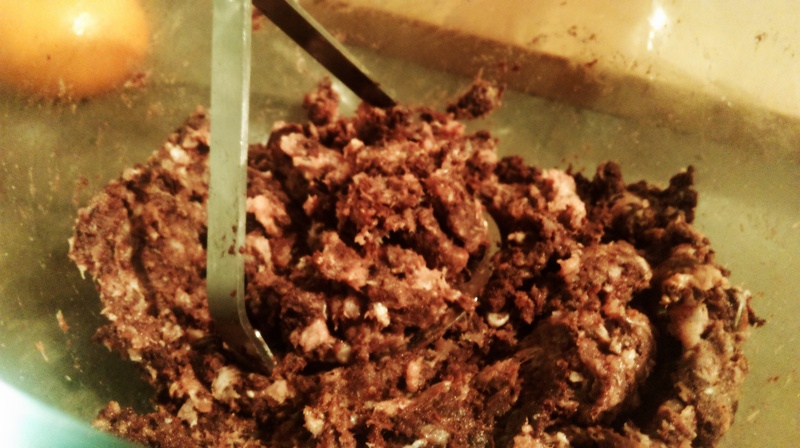 Add the pork mince and combine with your hands. Lay out a square of cling film, roughly the size of a dinner plate and wet with a little water. Pad out a rough circle of meat mixture onto the cling film, about a centimeter thick or so. 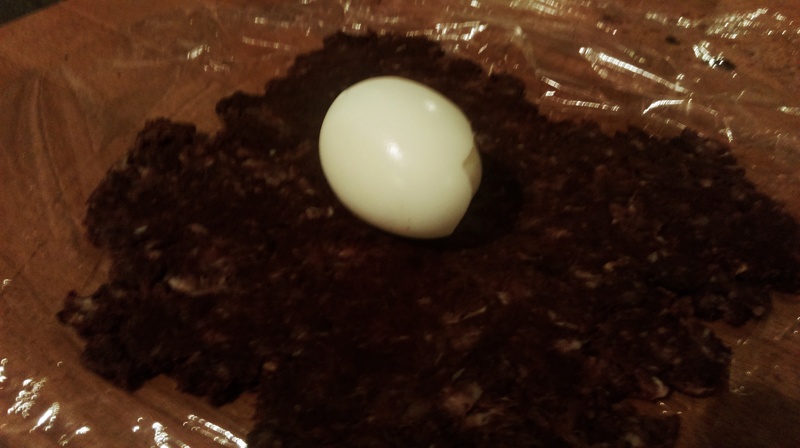 Place an egg on top, then pull up the corners of the cling film, gently squeezing it together. 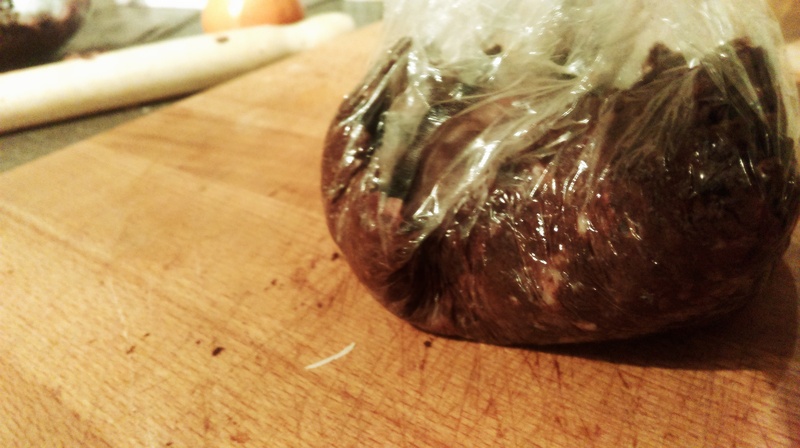 Peel the cling film away, leaving the meat around the egg, then shape the ball more carefully with your hands. When all of your eggs are coated, baste with a little oil then grill, turning occasionally, until they’re golden. 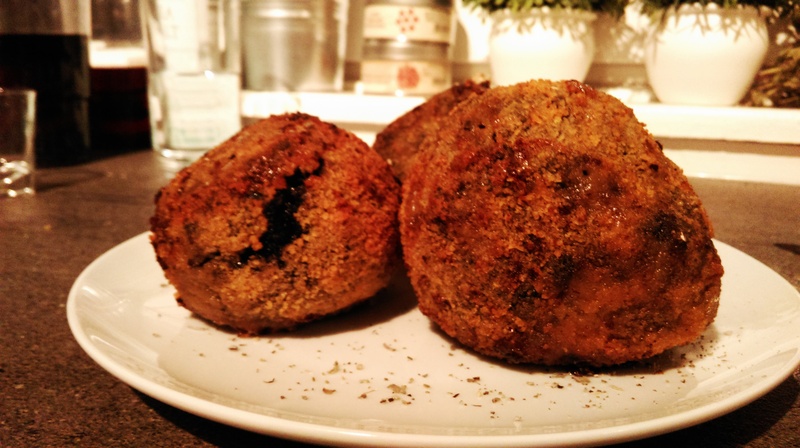 These are great hot or cold, but it’s quite nice to cut them in half if serving for a party. A little brown sauce makes for excellent dipping too. 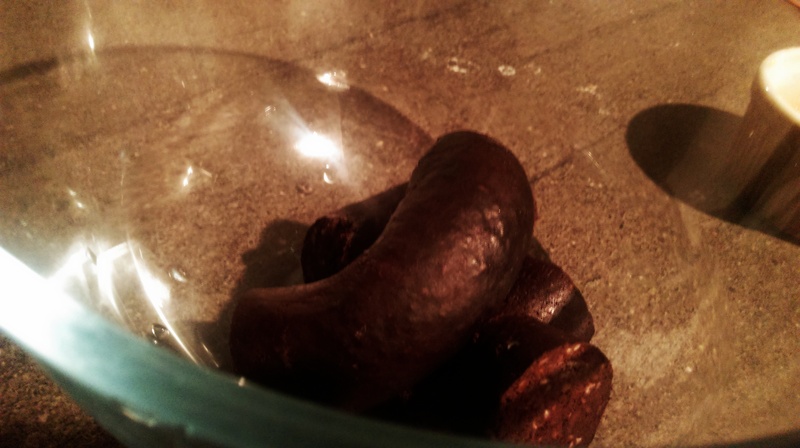 These will keep in the refrigerator for a good few days. 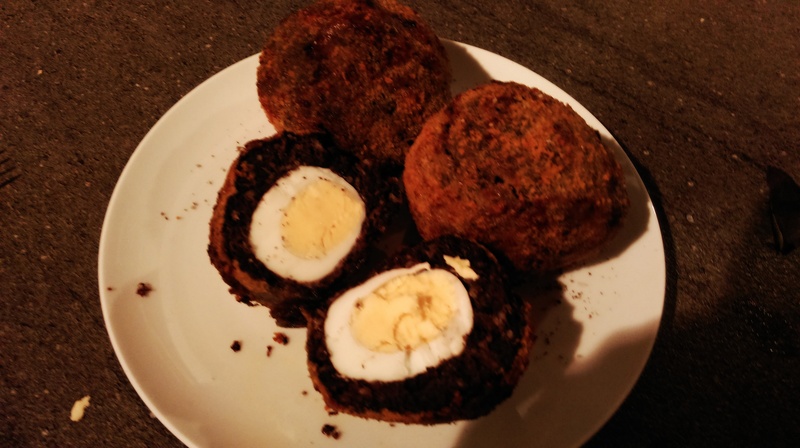 Posted in Guesscipes, Pork, Sides and Snacks, StartersTagged black pudding, breadcrumbs, dairy, egg, guesscipe, recipe, savoury, scotch egg, snack, snacks, starterBookmark the permalink. 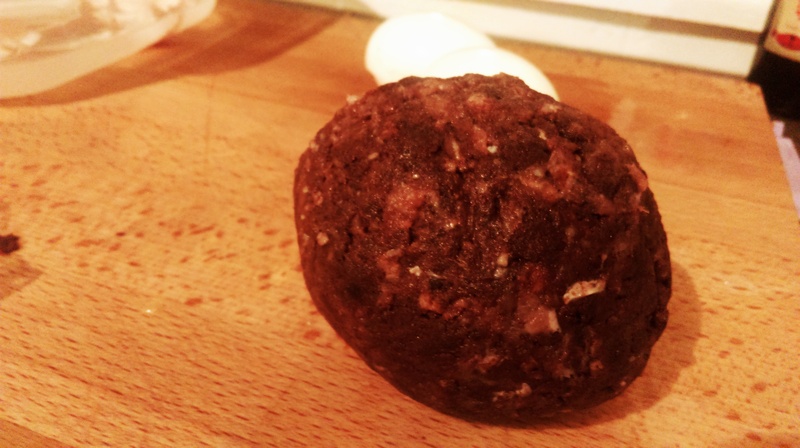 Brilliant, I love black pudding, great to have another recipe to try, thanks for sharing! Ros.